How to design cable tray? Most projects are roughly defined at the start of cable tray design. For projects that are not 100 percent defined before design start, the cost of and time used in coping with continuous changes during the engineering and drafting design phases will be substantially less for cable tray wiring systems than for conduit wiring systems. A small amount of engineering is required to change the width of a cable tray to gain additional wiring space capacity. Change is a complex problem when conduit banks are involved. The final drawings for a cable tray wiring system may be completed and sent out for bid or construction more quickly than for a conduit wiring system. Cable trays simplify the wiring system design process and reduces the number of details. Cable tray wiring systems are well suited for computer aided design drawings. 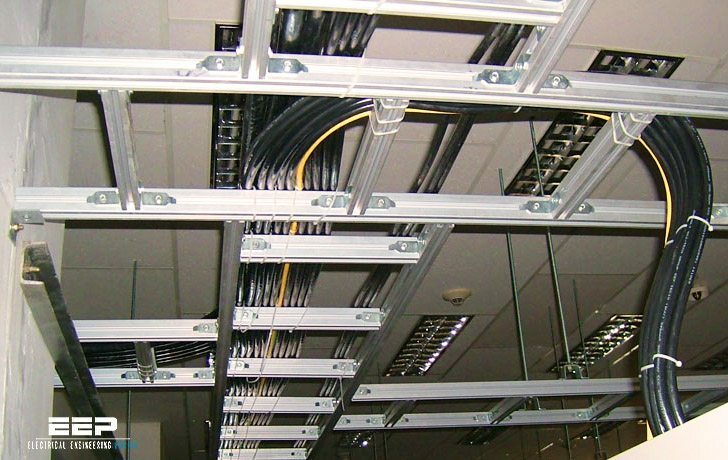 A spread sheet based wiring management program may be used to control the cable fills in the cable tray. While such a system may also be used for controlling conduit fill, large numbers of individual conduits must be monitored. For an equal capacity wiring system, only a few cable tray runs would have to be monitored. Dedicated cable tray installation zones alert other engineering disciplines to avoid designs that will produce equipment and material installation conflicts in these areas!! 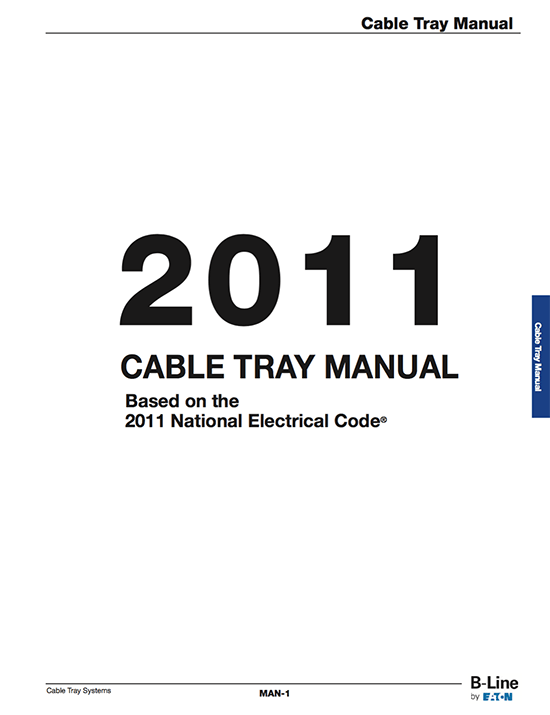 As more circuits are added, the cable tray installation zone will increase only a few inches. The space required for the additional conduits needed would be much greater. The fact that a cable can easily enter and exit cable tray anywhere along its route, allows for some unique opportunities that provide highly flexible designs. Fewer supports have to be designed and less coordination is required between the design disciplines for the cable tray supports compared to conduit supports. Excluding conductors, the cost of the cable trays, supports, and miscellaneous materials will provide a savings of up to 80% as compared to the cost of the conduits, supports, pull boxes, and miscellaneous materials. An 18 inch wide cable tray has an allowable fill area of 21 square inches. It would take 7-3 inch conduits to obtain this allowable fill area (7×2.95 square inches = 20.65 square inches). The cost of 600 volt insulated multiconductor cables listed for use in cable tray is greater than the cost of 600 volt insulated individual conductors used in conduit. The cost differential depends on the insulation systems, jacket materials and cable construction.